Ever had a vision for your garden but couldn’t see how it was ever going to work, or maybe you cant envisage how your land can be designed to create a visually stunning and workable outdoor space. Don’t worry because that’s what Tui Landscape Services do. Fully trained and highly experienced landscape designers will discuss your requirements and ideas with you and then create a design that works for both you and your garden space. The we will work with you to make this become a reality. It really is that easy. Getting the right plants and planting combination for your location and landscape isn’t simply down to what looks good. Yes that is hugely important but there isn’t much point planting something that wont thrive. Tui Landscape Services will inform you of what will work best for your requirements, utilising plants that will suit the location were ever your garden maybe in Taranaki. Beyond this it’s just as important to plant them correctly including, the preparation of soil, fertilisers and care. Talk to team Tui about your planting requirements today. Tui Landscape Services are here to look after all aspects of your lawn growth and care. If you need a new lawn, they will grow the perfect one for you or install purpose grown grass to suit your specific requirements. If you need your lawn mowed, either one off or regular service, they will mow it for you. If you need your lawn condition managed, they will protect it from all sorts of pests and elements that can harm your lawn. Tui Landscape Services sell and deliver mulch and topsoil at fantastic rates. If you feel like a drive, hook up your trailer, go and say hi and they’ll load you up and send you home to do some work. Supplying the correct plants to fit your landscape, the soil and If you fancy a bit of DIY gardening Tui Landscape Services are able to source a large selection of plants. Whether its replacing a few plants or a total garden overhaul, talk to team Tui for all your plant requirements. The placement of a plant is paramount to the success of its growth. We all know there is no point planting a banana tree in Alaska, and that goes for the principals in planting your garden too. Talk to Tui Landscape Services and have them come to your place and discuss your needs. 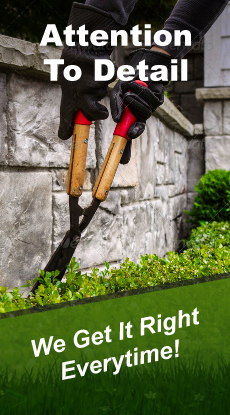 Whether your landscape planting is to increase the aesthetic look of your garden, to control erosion problems or shelter belts, Tui Landscape Services are here to help. They will advise of the best plants for the purpose and design a landscape plan to suit . Continuously training and up-skilling to keep up with the latest designs, trends and advances in horticulture, the team at Tui Landscape Services will work with you to give you the best possible design for your garden. Talk to them today for an obligation free quote. Tui Landscape Services are experienced in project management of large scale outdoor ventures. They will take charge of the job, organise sub contractors, work flow and see it through to completion, relieving you of the stress that goes along with these types of tasks. Just sit back and watch it unfold before your eyes.